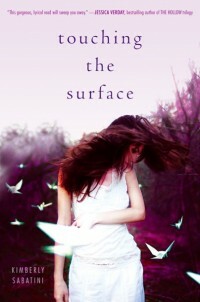 Win One of SIX Signed Copies of TOUCHING THE SURFACE for Your Favorite Library!!!! It’s been a long time since I’ve run a contest for signed copies of TOUCHING THE SURFACE. Last weekend one of my dear friends and a fabulous children’s librarian, Cathy Nuding, volunteered her time to come speak to my local SCBWI Shop Talk. It was two hours of amazing. I’d like to recognize Cathy’s awesomeness and help out even more hard working librarians. I’ll be giving Cathy another signed copy of TTS for her library (along with some other goodies) but I’ll also be giving away SIX more signed copies. You don’t have to be a librarian to enter. Just tell me about the library you believe should have a copy of TOUCHING THE SURFACE. If Rafflecopter pulls your name–I’ll send a signed copy right to their front door.